Ghostwriting is defined as writing a book or article for another individual, and which ultimately gets published in that person’s name. However, here we are not speaking about that kind of Ghostwriting. What we are discussing here is, some famous pieces of literature which supposedly was written by a ghost! Is that really possible? Well although every bit of common sense would point to the opposite, some quite interesting turn of events occurred almost 100 years ago, which gave an altogether different meaning to the term – Ghost writer. The main protagonist of this true story was a woman known as Pearl Lenore Curran, who was born on 15th February 1883 in Mound City, Illinois, United States of America. Her father was a railroad employee and frequently travelled from one place to another. The poor financial situation at the home was responsible for frequent discord between her parents and once she was even sent to live with her grandmother due to instability at home. Her academic abilities were quite average and she did not show much inclination towards academic pursuits. However, she had a good memory and her conversational skills were certainly above average. But at the age of 13, she dropped out of school, after suffering a nervous breakdown. The only field towards which she showed any inclination was – music, which was encouraged by her mother. She trained in piano and took music lessons and later worked at McKinley Music Company. Even after her marriage at the age of 24 years, things continued more or less in a routine way. A financial stable condition enabled the couple to lead a rather peaceful and blissful life. Passing her time – singing in the church choir, playing cards with her friends, and going to the movies with her husband, the first 7 years of their married life were uneventful. Things rather took a strange turn in 1912 when Pearl Curran’s friend – Emily suggested her to contact her father’s spirit (who had recently died) by using Ouija board. Her friend Emily, supposedly was able to make contact with a deceased relative through an Ouija board (which is also known as a spirit board or talking board), in the past and she wanted Pearl Curran to try the same. For the uninitiated, it would be prudent to mention that the Ouija board is believed (and used) by many as a means to communicate with the spirit world. Pearl Curran tried the same and it would be a turning point in her life. Pearl Curran would soon start a new chapter of her life. As already mentioned, her friend who had communicated with her dead relative with the help of Ouija board, soon brought a spirit board of her own and invited Pearl Curran to her paranormal pursuits. Pearl Curran, who was initially sceptic about the whole thing, but reluctantly began to comply with her friend’s wishes. On 8th July 1913, almost a year after her first introduction to paranormal activities (in form of Ouija board), she made contact with a spirit, who talked back to her for the first time - the spirit of Patience Worth. As was revealed to Pearl Curran later, Patience Worth was a young English woman who was born either on 1649 or 1694 (the pointer included both dates) and lived in rural south west England in Dorset county, along with her parents John and Anne Worth. She later left for America (which Pearl Curran saw in a vision of her coming to America on a ship) and was later reportedly killed in the United States of America, in a raid by native American Indians. Soon the news of this other worldly contact spread throughout the neighbourhood. People flocked in large number, to have a look at Pearl communicating with Patience. The Curran family did oblige and soon visitors witnessed the literary prowess of the spirit of Patience Worth, manifesting itself as the movement of the pointer on the Ouija board. Many of those witnessing these live performances, were leading scholars, writers, feminist and politicians of the time. Needless to say, they were quite mesmerized and believed they were witnessing a miracle. The display of deep knowledge of different customs, cuisines, clothing and many other factors belonging to different historical periods in these discourses defied any logical explanation. The encounters with the spirit of Patience Worth started as interaction in Ouija board initially but manifested later in forms of astounding writings by Pearl Curran, a skill which was never her forte. From Ouija boards, Pearl Curran soon moved on to having pictorial visions and messages of Patience Worth in her head (which she even recited) and later as automatic writings. These “automatic writings” gave rise to hundreds of novels and poems. For the uninitiated, automatic writings are writings produced by a spiritual invisible agency influencing a writer, and not something that comes from the conscious intention of the writer. Patience Worth would go on to become a national celebrity in the early years of the 20th century. She had changed Pearl Curran’s life from that of a nondescript housewife to a busy celebrity writer. The literary creations were critically acclaimed and very popular at the time. Soon news began to circulate how Pearl Curran had created over 4 million words of beautiful old-fashioned literature; describing people, customs and dialects of which she had no previous knowledge. These included 7 books, short stories, plays, and multiple poetries. Sometimes she would write a play, poem, and a novel simultaneously, without any loss of rhythm and rhyme. Some of the creations by Pearl Curran (& Patience Worth) are novels like – The Sorry Tale (a story about one of the thieves crucified with Jesus), Hope Trueblood (story of a fatherless girl in England of the Victorian era), The Pot upon the wheel, Telka, Samuel Wheaton and An Elisebethan Mask. Some of them like – “The Sorry Tale” was considered as a new classic of world literature, by a literary critic like William Marion Reedy. The Joint committee of Literary arts of New York listed Patience Worth as one of the outstanding authors of 1918. Her poems also found its place in 1918 edition of Anthology of Magazine Verse and Year Book of American Poetry. Her first novel was declared as “feat of literary composition” by the New York Times. The literary critic, William Marion Reedy described - The Sorry Tale, as a classic. Pearl Curran did become quite famous due to the spotlight on her, but she never tried to profit off the popularity, even when she was facing financial difficulty after the death of her husband. Pearl Curran remained honest about her endeavours. She claimed it was the ghost of Patience Worth, which had guided her and therefore it was not her own work and she didn’t take any credit for it. She even got an inkling about her own death, as she mentioned to a friend, that Patience had shown her the end of the road and she (the friend) had to carry on as best as she could. The most surprising fact was that she was of totally good health at the time, but contacted pneumonia soon after and died on 3rd December 1937. As described previously, during her growing up years, Pearl Curran was neither an academically brilliant student nor did she show any interest in literature. Her minimal education couldn’t have been responsible for these impressive works, was believed by many people, and they had plenty of other good reasons for this belief. Her writing described in vivid details different time periods. Her novel – The Sorry Tale, was written in a middle English dialect. Dragged by disbelieving and scepticism, a horde of scholars and experts of various disciplines, tried their own ways to find a method in her madness. Different scholars and researchers studied the association of Pearl Curran and Patience Worth and came to different conclusions. Casper Yost, an editor of daily print Newspaper based in St Louis, Missouri believed in the theory of a spirit being responsible for the literary works. The psychic researcher, Walter Franklin Prince, who had founded -Boston Society for Psychical Research, carried a thorough investigation of the case. He published his findings in 1927 in his book – The Case of Patience Worth, which consisted of a voluminous report of 509 pages. His observations indicated, that he indirectly supported a paranormal association of the case. The existence of the spirit of Patience Worth did become a source of considerable controversy. In spite of clear evidence that Pearl Curran did not have the ability to write brilliant literature composition, an explanation of a ghost is responsible for the same was a fact not palatable to many. Besides, Patience Worth had died almost 200 years before the Victorian age, so when a novel was written by the ghost-writer about the same, the critics got genuine cause to express their scepticism. Stephen E Braude, a famed philosopher, and parapsychologist of the time concluded that Patience Worth was nothing but the alter ego of Pearl Curran, a dormant subconsciousness of her childhood, with brilliant unparalleled writing skills, that was suppressed by a dominating mother. Pearl Curran was even examined by a renowned psychologist – Morton Prince, who couldn’t find anything of scientific importance. 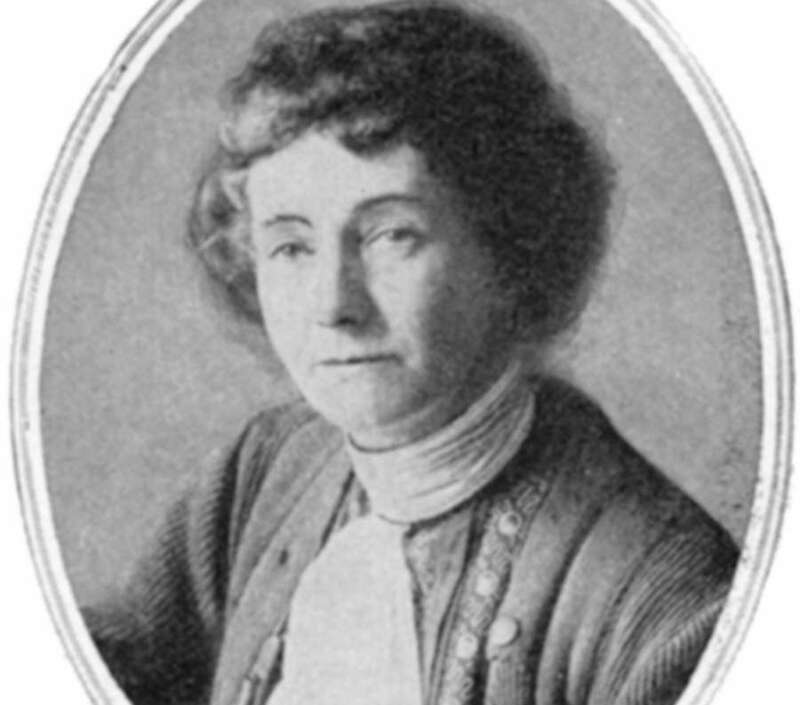 The chairman of the philosophy department at George Washington University in St Louis – Charles Cory, came to the conclusion that Patience Worth was nothing but a subconscious personality of Pearl Curran. Many other scholars have also expressed their disbelief on the theory of a ghost dictating a story to another writer, with a few even accusing Pearl Curran of being a fraud. The strange case of Pearl Curran and Patience Worth does evoke a strange curiosity to this day also. A novice creating a brilliant piece of literary work in adulthood without expressing any interest or skill in the early years is enough to arouse interest for most people. When that writer attributes her success to the spirit of a woman, who has been dead for more than 2 centuries, then the whole case becomes more bizarre. Different experts have expressed different opinions for explaining these strange happenings, and a spirit being responsible for the literary genius of a person is a no longer tenable theory in the 21st century. However, the whole incidence does raise some uncomfortable queries about the absurdity of human existence, which ultimately begets the question – can a chance encounter with a benevolent spirit ensure a person a place in pages of history?